Freshly Impressed # 10 – My thoughts on a page. This is a post I do which highlights posts which struck a chord with me. Whilst many of you dream of being Freshly Pressed, this is my equivalent. I began these posts as a payback to bloggers here on WordPress. Instead of giving awards and sending so much work to the blogger awarded, I highlight a great post which “Freshly Impressed” me. This allows those of you who read, to find some blogs you may never have read. I don’t always target posts of blogs I follow as many of us seem to follow the same blogs. I hope you enjoy today’s selection. First on my list of great posts is from the blog of Lindaghill. Many of you may already be familiar with Lindas blog but for those who are not, this is an excellent example of what Linda is about. She is an extraordinary mother and a most entertaining and thought provoking blogger. The post which “Freshly Impressed” me is called “All I want”. It was written Christmas Eve and she tells us what she would really wish for her children if she could. As her children have some complex health issues it makes for poignant reading. Next on my list is another post written around Christmas and children. It is written by a fellow Irish blogger whose blog is “At the Clothes line”. 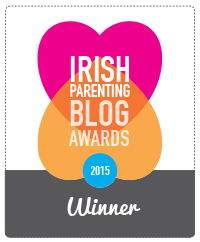 I first came to know of this blog when I saw she was nominated in the Irish Blog Awards. Unlike myself who also was nominated (in a different category) this talented lady actually won. (I am almost over the disappointment, and after another few years of counselling I’ll be cured). The post I am featuring is called “The magical boots”. It tells so beautifully the magic of Christmas through her daughters eyes on receiving a pair of Cowboy boots from Santa. I challenge you not to smile after this one. Finally to my last post. Whilst the other two posts were written by mothers about their children, this one is written by a blogger who has wished to know her mother for forty four years. She is the writer of the blog “Thingsgobumpinmymind”. In this post which “Freshly Impressed” me, she discovers she not only has a mother, but one who wants to meet her. The post is called most appropriately “Here I am”. So there you have it. My latest selection for “Freshly Impressed”. I apologise for such a long delay since my last selection of “Freshly Impressed”, but with the very sad loss of my young warrior pal and of course Christmas, I fell behind on my postings and readings. I hope you all enjoy reading these posts, as much as I did. Thanks as always to my pal Duncan at Madhatters for my wonderful award logo. I’d say any blog would be proud to display such a fine work of art! If you wish to read previous Freshly Impressed posts just click on the menu. Until next time keep blogging. 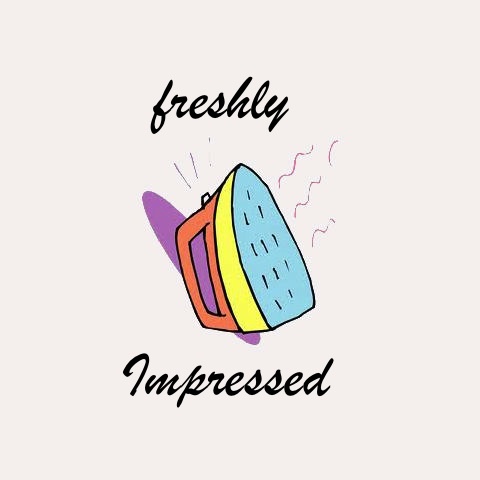 You never know I may be “Freshly Impressed” by you too. You are so welcome Linda. I love reading your blog and I really think you are an amazing lady, mother and blogger. Enjoy the others. Thanks Beth. It’s an easy way to check out few new bloggers alright, and I enjoy reading posts now with a view to saving some for this. Your welcome. I loved that post and have thought about it often, always a good sign. What a brilliant idea. I saw that post from Linda and was moved by it. I’ve met two of her three wonderful sons. Really she is amazing, and what I love about her is her honesty. She says it as it is. Some days it’s very hard and she struggles, other days she is in love with them. She is, and her candour is refreshing.